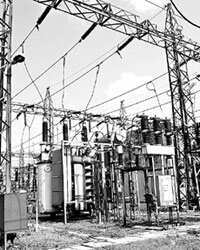 Even as the Congress-led United Progressive Alliance (UPA) government at the Centre drags its feet over approvals for a second 4,000MW power project in Gujarat, a state ruled by the rival Bharatiya Janata Party, it is pulling out all stops to accelerate approvals for a second project for Tamil Nadu, which is ruled by the Dravida Munnetra Kazhagam, a Congress ally and part of the UPA. The Centre is faced with the likelihood of having to abandon three of its planned nine ultra mega power projects (UMPPs), each of which will generate 4,000MW of power. Tamil Nadu stands to benefit if the CEA approves Marakkanam as a location for the UMPP because states where such projects are located get preferential treatment when power from these plants are allocated by the government. Tamil Nadu is one of the few states in the country that meet their current power requirements, according to audit and consulting firm KPMG. The state has an installed power generation capacity of 10,000MW and plans to increase this to 13,000MW by 2012. Demand is expected to touch 9,500MW in 2007-08. However, power generated from the two UMPPs will only be available between 2012 and 2017. The Cheyyur and Marakkanam projects (if the CEA approves the location) will share the Cheyyur port to import coal. All coastal UMPPs—in Mundra (Gujarat), Krishnapattnam (Andhra Pradesh), and Cheyyur—will use imported coal. This would mean that the amount of coal India imports will rise from the current 20 million tonnes (mt). Demand for the commodity is seeing an upswing across Asia, pushing up prices. The country’s power sector will need 545mt of coal by 2012, and the shortfall of 63mt will have to be met through imports. “Imported coal is a reality," said Shubhranshu Patnaik, an executive director at audit firm PricewaterhouseCoopers. “The setting up of UMPPs would require strategic ownership of coal mines overseas. However, the Indian companies have been slightly slow in catching up compared with China." UMPPs have had their fair share of problems. Of the nine proposed projects, only six are on track. While the projects at Mundra in Gujarat and Sasanin Madhya Pradesh have been awarded to Tata Power Co. Ltd and Reliance Power Ltd, the ones at Tilaiya in Jharkhand, Krishnapattnam in Andhra Pradesh, Cheyyur in Tamil Nadu, and Jharsuguda in Orissa are expected to be awarded in due course. The Union government is expected to abandon plans to set up UMPPs at Girye in Maharashtra, Karnataka’s Tadri, and Akaltara in Chhattisgarh for reasons ranging from environmental concerns to differences with the state government.